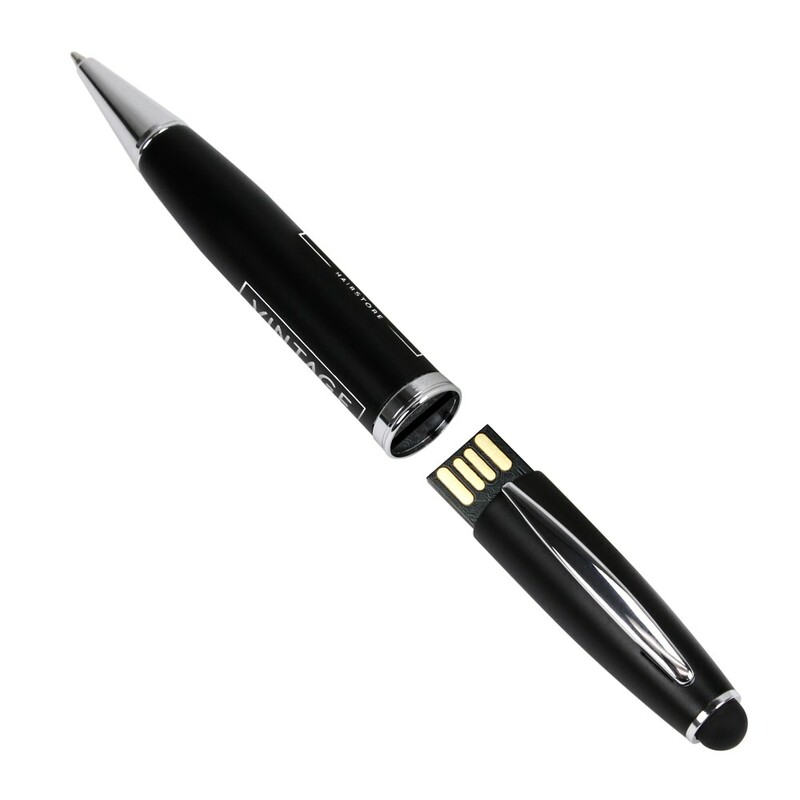 Share information with style and precision, thanks to the Pen USB with Stylus! 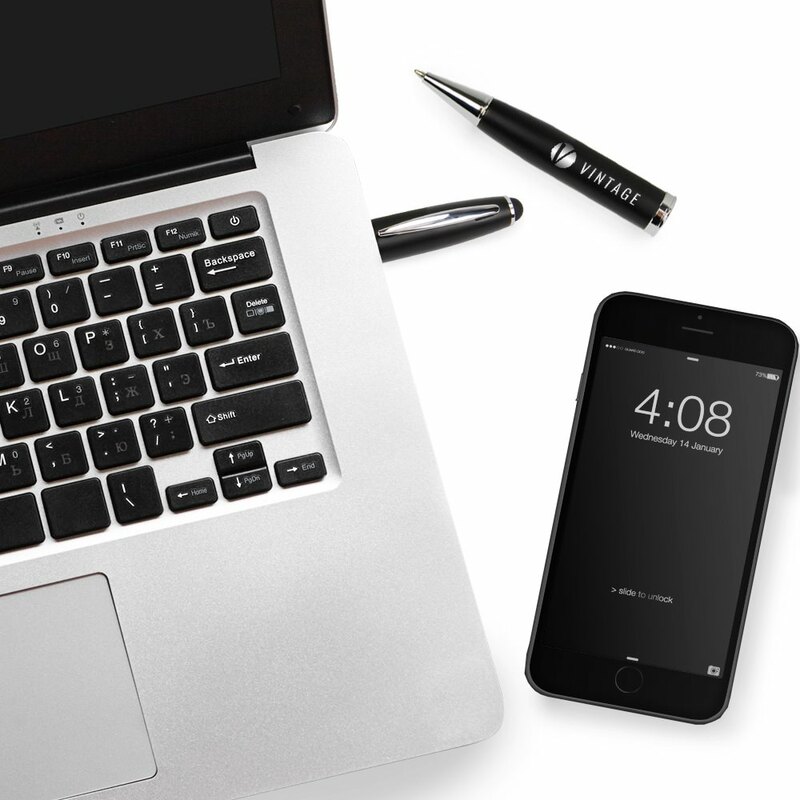 This satin-finish metal USB pen is multi-functional. It comes with a stylus on one end and a fully-functioning pen on the other. This customized pen drive’s handsome body can be customized with your engraved logo, turning into the perfect promotional gift! Future customers and clients alike will not likely to forget your name after your company logo is beautifully laser engraved on the shaft. The pen is mightier than the sword, especially when it comes with a USB drive! 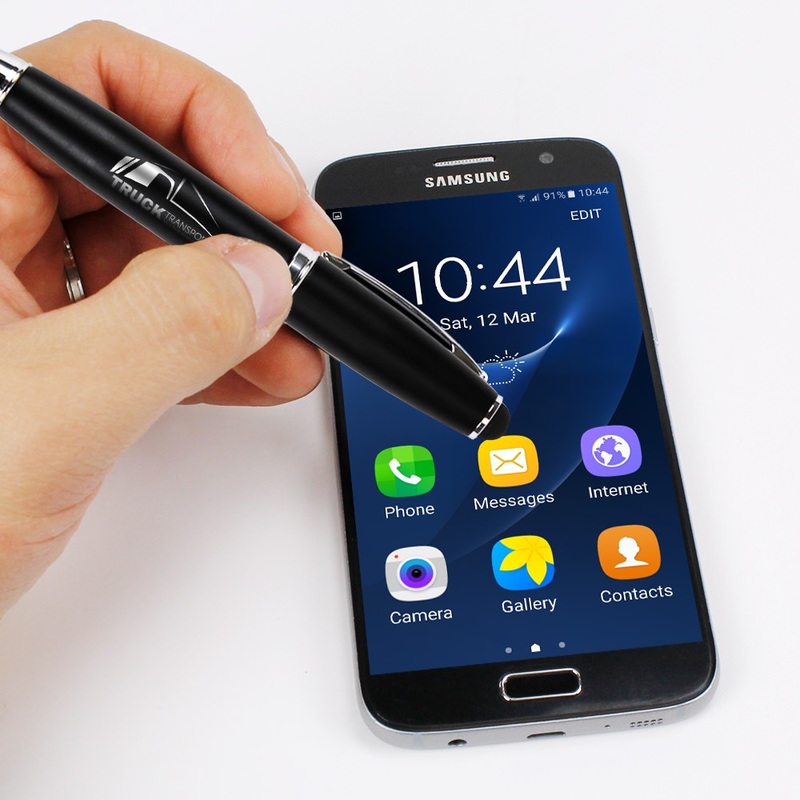 Our custom Pen USB with Stylus is a triple threat: not only is it a high-powered flash drive, it also works as a fully-functioning pen AND stylus! With this device, you can store your most precious documents, pictures, videos, music, presentations, and multimedia in the drive safely stored inside the pen’s body. 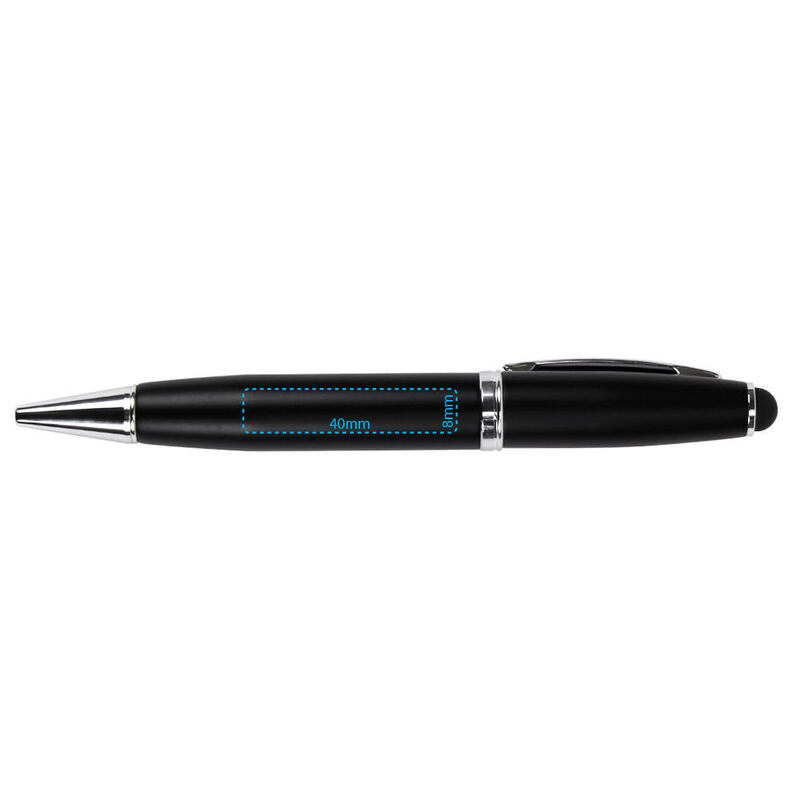 The pen and stylus are on separate ends of the pen, making it easy to switch back and forth between them. 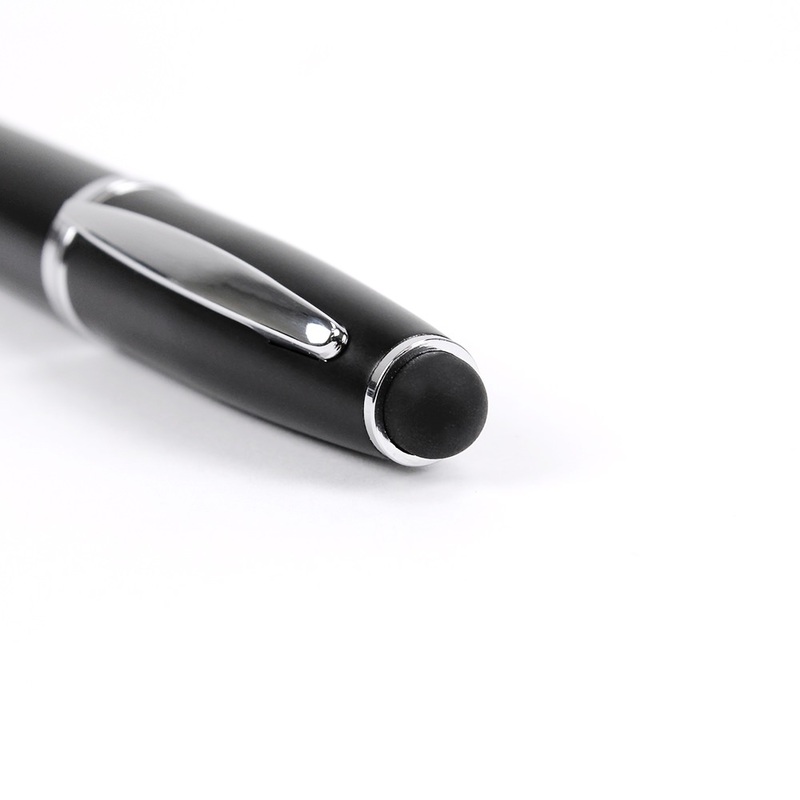 The pen comes in a handsome black body with chrome underlay. 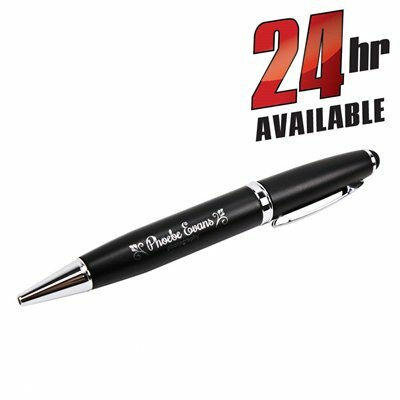 You can customize it by getting your brand or name engraved on the side of the pen, turning it into a very useful promotional item! 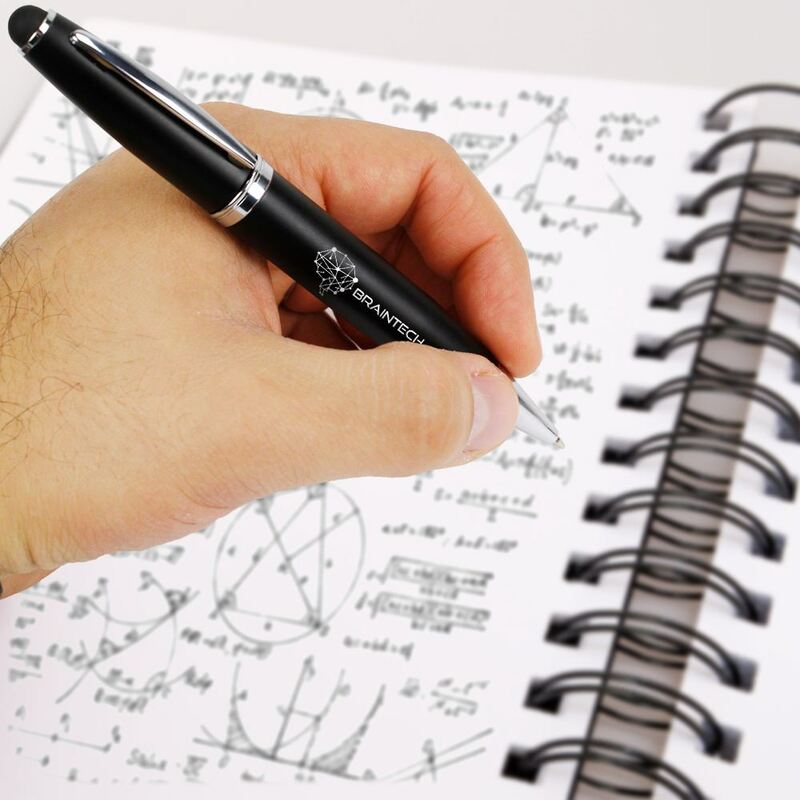 Nobody will write you off after they get their hands on this pen!